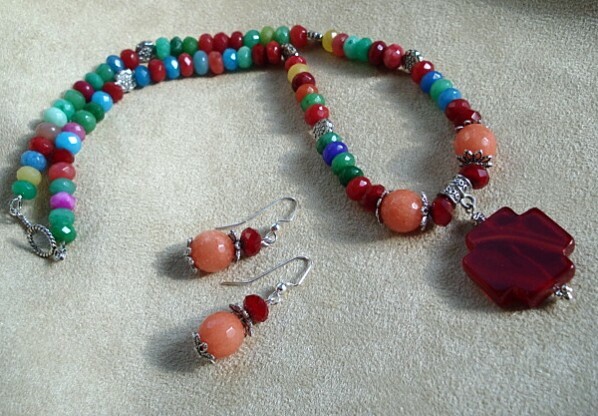 Brightly colored, faceted, agate with a cherry quartz cross pendant and pewter findings. 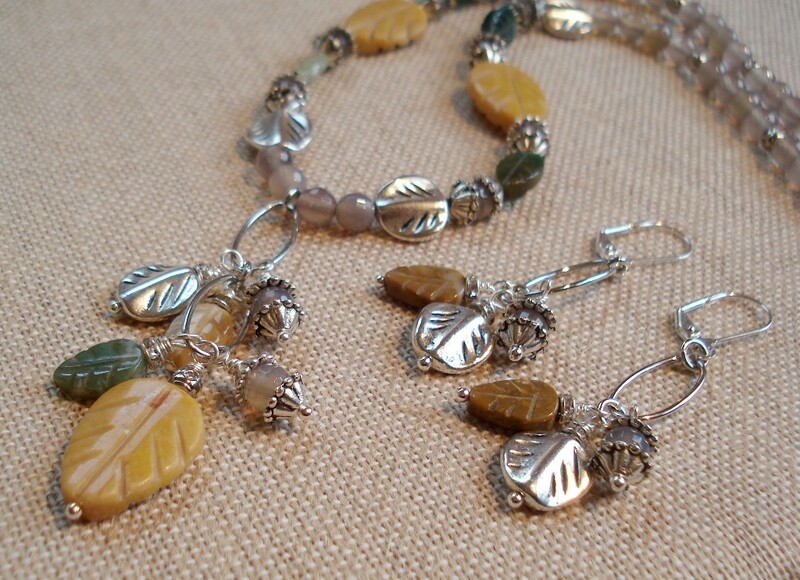 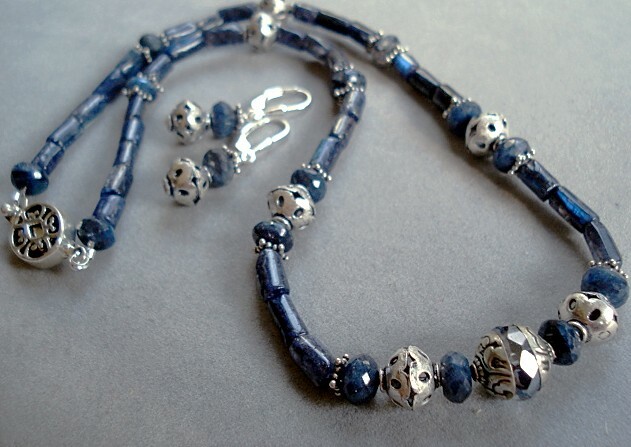 Finished Length: 20"
Multi- colored agate leaves with gray, faceted rounds and pewter leaves and findings. 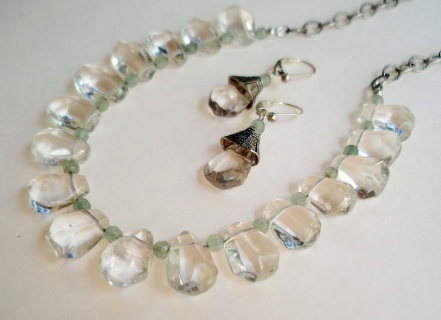 Finished Length: 20"
Crystal quartz, aquamarine rhondelles & sterling silver chain and findings. 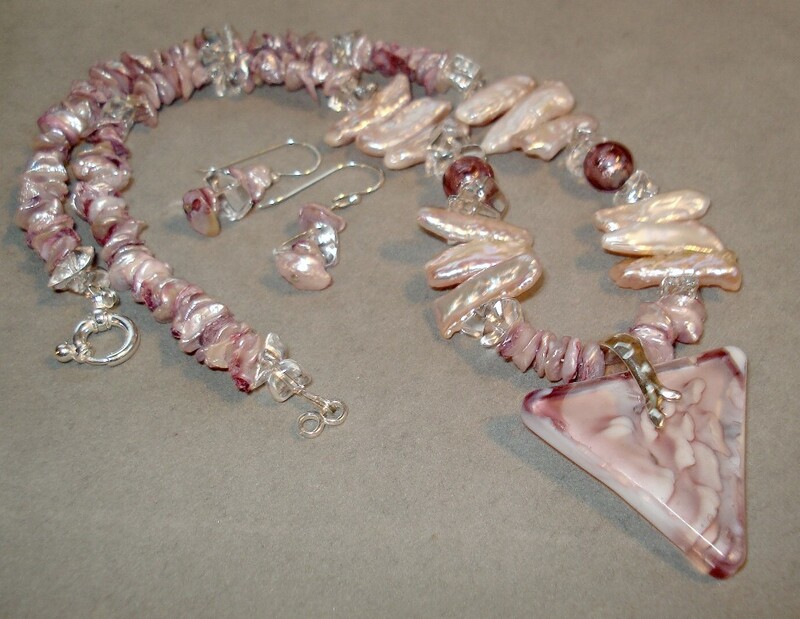 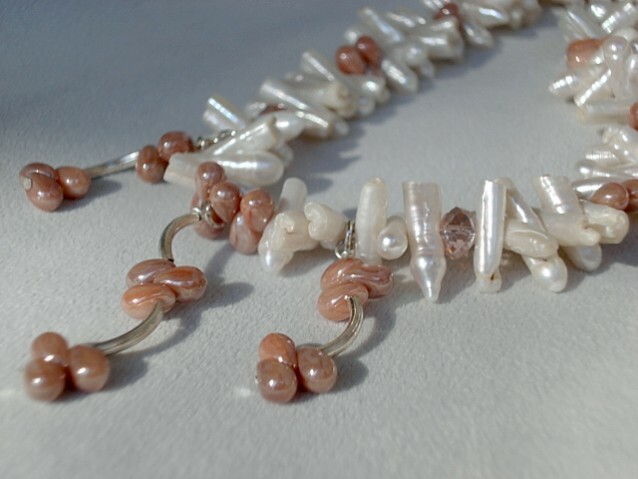 Finished Length: 21 1/2"
Pink heishi pearls, venetian glass and quartz chips with silver plated findings. 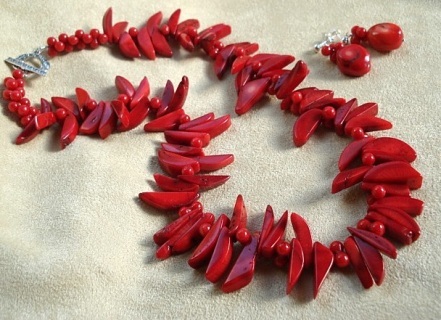 Finished Length: 18 1/2"
Graduated bamboo coral beads with sterling silver hooks. Matching earrings are available for $14. 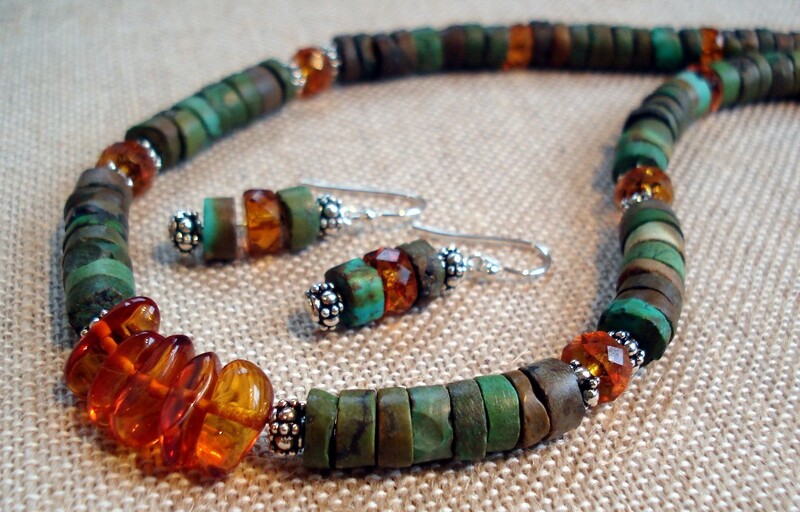 Finished Length: 19"
Turquoise heishi beads with amber nuggets, crystal rondelles and sterling silver findings. 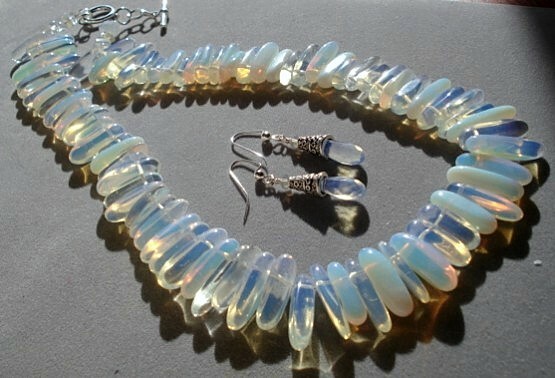 Finished Length: 20"
Graduated opalite chips with silver plated toggle. Finished Length: 19"